Election Day is finally here! I've always been thankful for the right to vote. People all over the world are still fighting often literally for that right. It is something we should never take for granted. Something I can add to that in recent years is the availability of information on candidates. While I know you certainly can't believe everything you read online, there are many sources for info and that really helps for a lot of the offices. And now onto my project for today. Earlier in the year, I used one sketch multiple ways. I'm doing that popular series again. For the first layout, I have photo of this little darling using Echo Park's Everyday collection. Such pretty colors and patterns are paired with both mulberry paper flowers from Prima and some cut on the Silhouette. Thanks for stopping by today. I hope you got a chance to vote. 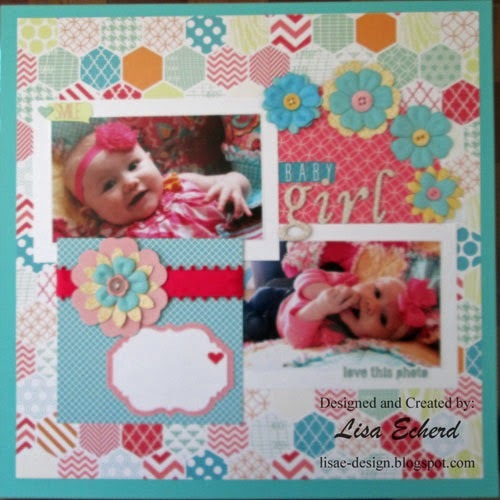 Cute layout and adorable baby girl! 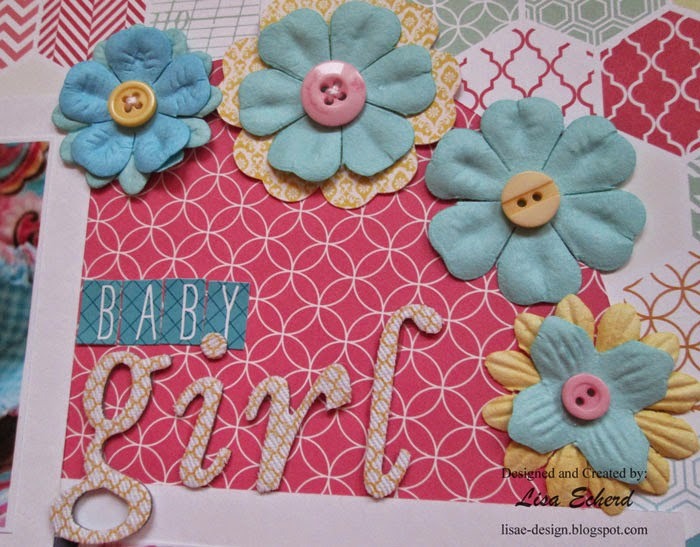 This is such a sweet, girly page, Lisa! 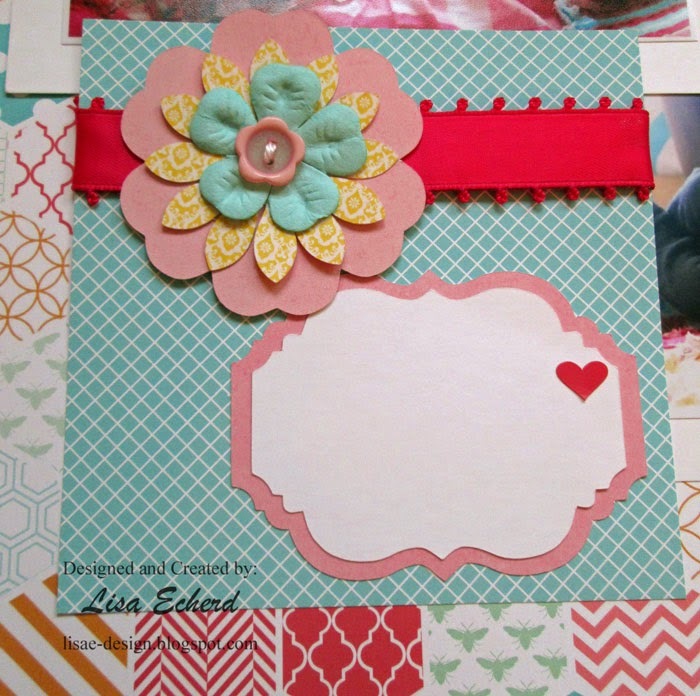 Love the soft colours and such a sweetie that you were able to make the layouts on. Love that sketch and LO! 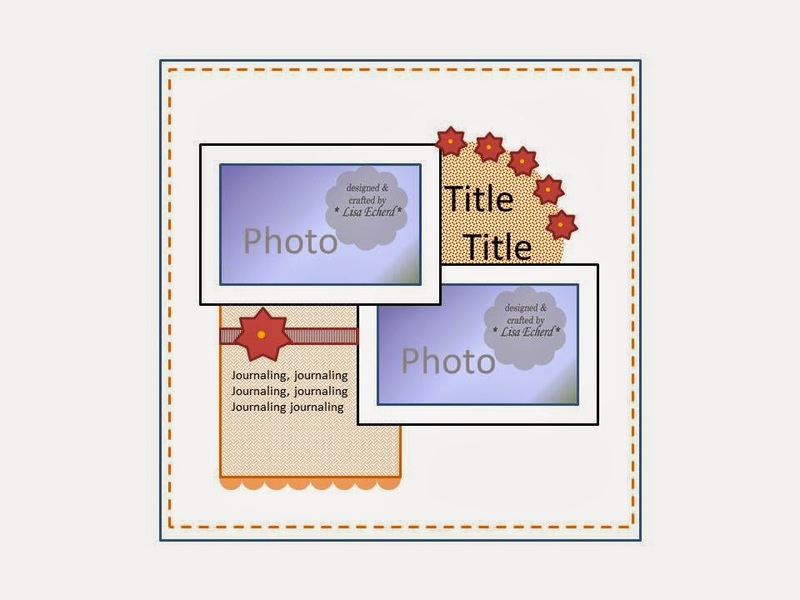 And I found your blog through your Scrapinar! I really love how you talk through all your paper choices. I still use the CM circle cutters too - that was one of the first tools I ever bought! I love your button drawers. Would you ever consider an episode on how your craft room is orgainsed? This is just so very sweet. Love it.